While buying brand new equipment isn’t always a reality, the MU Agricultural Research Centers have entered into a lease agreement with CASE IH, who provides brand new tractors, combines and tools at a fraction of the cost. The lease agreement began at all of the Research Centers in 2012. Since the agreement was initiated, CASE IH has provided more than $5 million worth of equipment to the Centers. For the Agricultural Research Centers to function at the highest level possible, good equipment is key. High-quality machinery is vital when researchers head out to plant and harvest their plots. Each Center works with a local CASE IH vendor. For example, the Centers located in central Missouri … Expand ▸Each Center works with a local CASE IH vendor. For example, the Centers located in central Missouri get equipment from Crown Power & Equipment. Those vendors also help with general maintenance on the equipment as well. While buying brand new equipment isn’t always a reality, the Centers have entered into a lease agreement with CASE IH, who provides brand new tractors, combines and tools at a fraction of the cost. The lease agreement began at all of the Research Centers in 2012. Since the agreement was initiated, CASE IH has provided more than $5 million worth of equipment to the Centers. 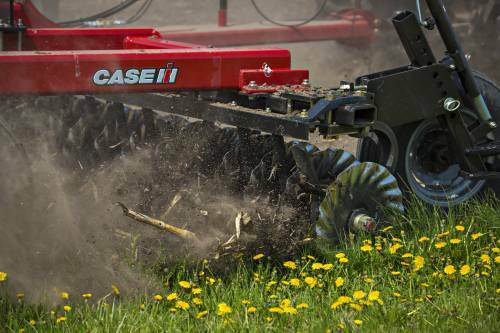 CASE IH leases the needed equipment for one year. The Centers can’t put more than 250 hours on the equipment. Each Center works with a local CASE IH vendor. For example, the Centers located in central Missouri get equipment from Crown Power & Equipment. Those vendors also help with general maintenance on the equipment as well. Reinbott said the Research Centers have used the equipment for educational purposes as well. The … Expand ▸Reinbott said the Research Centers have used the equipment for educational purposes as well. 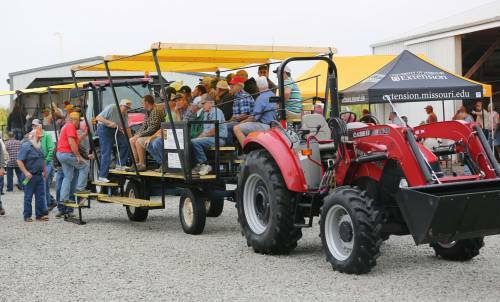 The tractors are used during the annual field days and agriculture education days, pulling trailers of producers and students. Reinbott said the Research Centers have used the equipment for educational purposes as well. The tractors are used during the annual field days and agriculture education days, pulling trailers of producers and students. Reinbott added that when it does come time for the Research Center to purchase equipment, they make sure that CASE IH is included in the process.